Community of Peace Academy contracts with the Saint Paul Nutrition Services to provide Breakfast and Lunch. Every student at Community of Peace Academy receives a free breakfast every day, served from 7:40 to 8:00 a.m. Upon arrival K-12 students proceed directly to the cafeteria, select their food and bring it the classroom. PreK students have breakfast brought to their classroom. 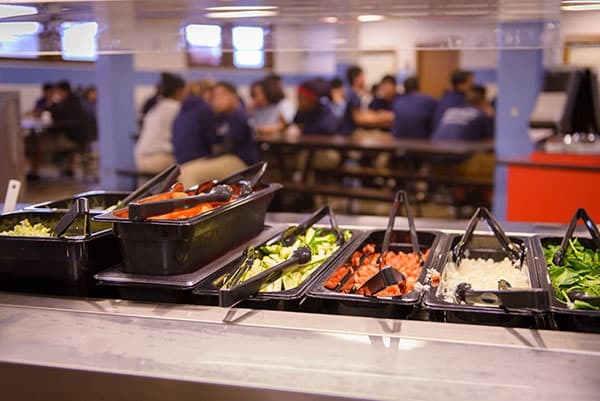 Hot lunch is served daily, and a salad bar is also available to students. Menus are sent home monthly, and can be found online here. There are several ways to make a payment on student lunch accounts. Parents can set up an online account at www.paypams.com. Automatic recurring payments, email notifications on balances and other features are available through PayPams. The PayPAMS Mobile App is now available for Android and iPhone. Parents may also send a check or cash with your children to school. Put cash in an envelope marked with the student’s name and meal account keypad number. Checks must only be for Nutrition Services, made out to Saint Paul Nutrition Services, with the name of your child in the memo line and phone number on the check. Change can not be given for checks or cash. 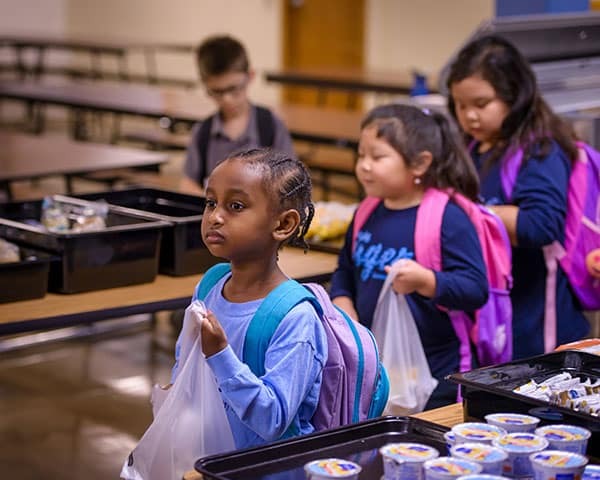 For information regarding your child’s lunch account, please contact the cafeteria supervisor between the hours of 8:30 a.m. and 10:30 a.m. at 651-280-4556.